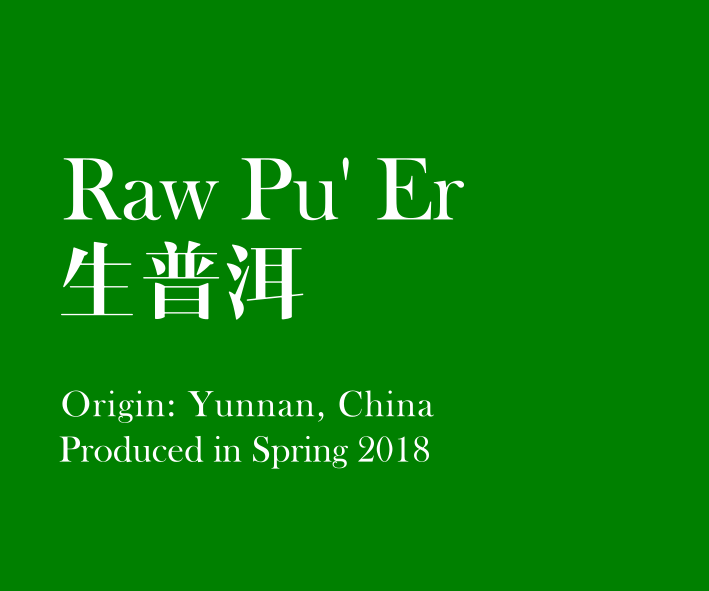 Raw Pu'Er (生普洱)is the traditional non-fermented form of Pu'er tea. Sourced from Yunnan, China, the tea is pan-fried, rolled and dried before being compressed and stored naturally. Harvested in Spring 2018. Tasting Notes: Mellow, smooth, sweet after taste.